Home / Paralegal / How Much Do Paralegals Make in Average? 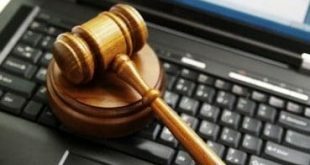 3 How Much Do Paralegals Make in Terms Of Performance? The first thing you really have to understand about the paralegal profession is that the payment can be absolutely great, but it also differs tremendously from place to place. The average salary for a paralegal across the nation is $46,990, but if you don’t understand how different the wages can be, you might be misled. Depending upon the geographic region or state; the amount of education, training, and experience you have; or the type and size of employer you work for, you could be earning an entirely different salary than a neighboring state’s legal assistant. You could be, on average, making $46,000 per year, when in fact, you could be making an $80,000 salary, or even a $20,000 salary. It really depends on all of these factors coinciding with one another to equal your income. But we can get a little closer to the pay you’re actually able to make by deducting some other information. Following you will find a list of salaries according to each state. The poll was taken in 2009 (which means that the average pay is most likely higher than what the current data will show). Below statistics are all up-to-date information taken from the Bureau of Labor Statistics and can be found on their site as well. So here’s the breakdown so you can see where your state currently is. The income from this profession varies dramatically due to many factors. It means that you have the opportunity to make more than most paralegals. If you work in your own freelance business, you have the ability to determine what you make per year by charging what you like, working as much as you’d like to, and choosing which clients to help or not. You could also prefer to apply to larger law firms and organizations which will give you a further step in annual income because this is where the money is. If you don’t care for the income, but would rather focus on helping those less fortunate, you could decide to apply to a pro-bono or non-profit firm.  Just remember that there are many other options for you in this profession, but it’s up to you how much you really want to be earning every year. How Much Do Paralegals Make in Terms Of Performance? Whether you’re entering this profession to earn a high annual income or you’re thinking about hiring a paralegal, you’ll want to know how to correctly receive your compensation or how to rightly compensate your paralegal for their services. In Guideline 9 of the ABA Model Guidelines for the Utilization of Paralegal Services, you will find that the paralegal can be paid according to either the quantity of their work, the quality of their work, or both. Whenever the law firm, governmental agency, or any organization that employs a paralegal does well through the services of the paralegal, the company or agency has the ability to pay a discretionary bonus to the paralegal as seems fit for their work and the success of the business. Also, according to the 9th Guideline, you will see that the compensation cannot be contingent upon the success or failure of particular cases in the court of law. There can be no advanced agreement depending upon the outcome of any case. Attorneys are prohibited to split legal fees with the paralegal. Law firms and lawyers cannot pay referral fees to paralegals either. 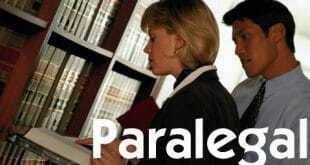 Paralegals are prohibited from becoming partners or shareholders in a law firm. Bonuses are a short caveat, but it’s probably going to be a little icing on the cake for most of you. On top of an average pay, many receive bonuses for the excellent and sometimes extra work that they perform. This situation may not be an industry standard, but you can assume that this is the norm for most law firms who do well that year. Everyone loves receiving a bonus in recognition of the hard work they have done, but keep in mind that fee splitting with attorneys is prohibited in most states. However, law firms can compensate paralegals based on the quantity and quality of their work and the value of that work to the law practice. Also, when negotiating your pay, remember that you cannot receive referral fees for referring clients to the firm. This rule is imposed on lawyers in their rules of professional conduct to prevent the referral fee from leading to improper interference in a case by the paralegal. Two attorneys at a large firm in New Jersey were suspended for one year for offering bonuses and referral fees to non-attorney staff including legal assistants. What the court determined was that paying these bonuses and referral fees was a violation of the rules of professional conduct. So, even if you’re offered a payment that includes a bonus be sure that the bonus is earned in a way that is appropriate. Don’t blindly trust the new employer to comply with the rules of ethics that is discussed and explained in the job description by related entities and authorities. Depending upon whether you are a nonexempt or exempt employee, you are allowed to receive overtime. Nonexempt employees are entitled to overtime pay under the Fair Labor Standards Act. For further information, you may ask your employer if you are eligible for this provision or not. Another factor would be a group of paralegals. A group of paralegals cannot be claimed as exempt according to the U.S. Department of Labor. Whether you’re looking to earn a nice income in this profession or work on an hourly basis, hopefully being able to gain some overtime, you’re in for a treat. This profession is fulfilling and pays well. The average income isn’t too shabby. You work hard, and you’re paid to be able to play hard. Your earnings may depend on your expertise in the field and your education. We wanted to cover the basics on average paralegal earnings, but you can also read more about other details and comparative statistics on salaries.